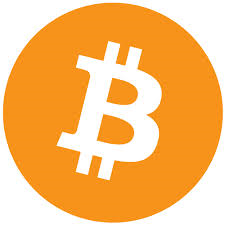 If you’ve followed or read any news lately you would surely have heard of the crypto or cyber currency, Bitcoin. There are others, such as Litecoin, RapidCoin, MaxCoin, but Bitcoin is the most well know and recognised. But what is it and what does it mean for the average person? Bitcoin is a currency, just like the Australian dollar, European Euro, British Pound, Japanese Yen, Chinese Yuan (Renminbi) etc. etc., you get the picture. The difference between these currencies and Bitcoin, is that Bitcoin is not issued by a central bank, it is a cryptocurrency. Bitcoin was created by “Satoshi Nakamoto” (a pseudonym, the real creator(s) remain a mystery) and is created by being “mined” by people with powerful computers solving algorithms, and as these are mined they become available. And also, unlike fiat currencies (pretty much all currencies these days), and also much like gold, is the fact that there will only ever be a finite amount of Bitcoins available (21 million). It is a virtual or digital currency, no physical form of Bitcoin exists (which makes the picture a bit misleading). Because of this, it is completely unable to be manipulated by governments, central banks or any one particular person or organisation. The market sets the price for the currency. The currency is stored in virtual “wallets” which exist only on computers and makes all transactions completed in Bitcoin completely anonymous. If you have been following the Bitcoin story, you’d be aware that the price has fluctuated quite a bit during its short life, precisely because it is uncontrolled. It has actually only been in existence since early 2009 and apparently the first transaction with Bitcoin was to buy a couple of pizzas in 2010 for 10,000 bitcoins. To purchase Bitcoin, it needs to be transacted through a Bitcoin exchange. Mt Gox is probably the best known one, but by no means the only one. And for people who predicted Bitcoins demise when the Silk Road website (a black market for some legal, but mostly illegal goods) was closed and continue to predict its demise, Bitcoin is now being accepted globally in more and more places, some organisations pay their staff in Bitcoin, and there are now even Bitcoin ATMs available. As it becomes more mainstream, I think Bitcoin and quite possibly other virtual digital currencies are here to stay, but as with anything, always do your own research. Since this article was written, the Mt Gox Bitcoin exchange has declared bankruptcy, due to customer’s and their own Bitcoin stores being compromised and most likely stolen. Don’t let that put you off Bitcoin, Mt Gox is just one exchange, and there are many more, and if you don’t want to get any Bitcoin through an exchange there are other avenues available. Mt Gox files for bankruptcy. London to Become the Bitcoin Capital? Or is it This Person? my mother’s friend Freeman from Rwanda and Grenada recommended holding DigiCube in lieu of my Bitcoin. Ecstatic we followed instruction because the free market analysis tips from http://www.freestaking.com assisted my btc grow exponentially!